The perfect gift (for yourself or someone else!) for the "green" person in your life. These face scrubbies are a great alternative to cotton balls. Made in New Hampshire. The perfect gift (for yourself or someone else!) for the "green" person in your life. 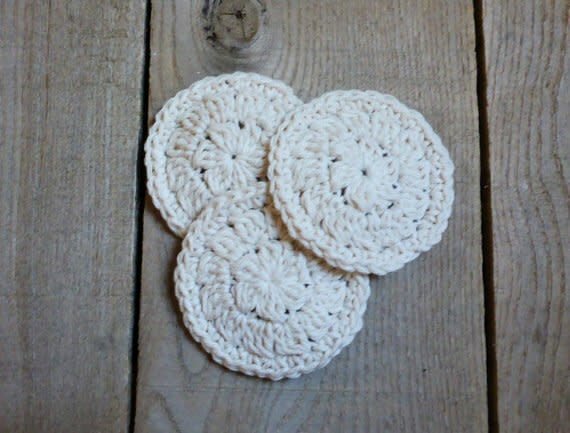 These face scrubbies are a great alternative to cotton balls. 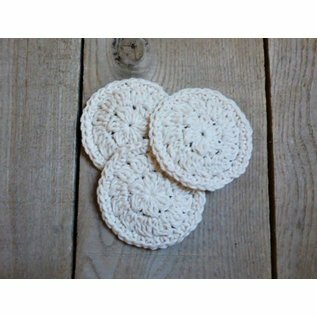 100% cotton yarn they are washable and reusable! Comes as a set of 3. Created by White Mountain Yarnery in Portsmouth, New Hampshire. "A self-proclaimed yarn addict (ok, full disclosure, my husband agrees!). Seeing ideas, colors, and a lot of hard work turning into something someone loves is so exciting for me! I began by making lots and lots of homemade gifts for family members. They then suggested I share my love of yarn with others."